She carries out countless engagements each year, will surpass Queen Victoria as the longest-serving British monarch in history come September, and takes part in a parade put on as an “official birthday celebration” (despite being in June), but one day out of the year is meant just for Queen Elizabeth II alone. On April 21st, 1926, Princess Elizabeth Alexandra Mary was born to the Duke and Duchess of York on Bruton Street in London. At the time, she was third-in-line to the throne, not expected to rule since her uncle David (who reigned for a short time as Edward VIII) was Prince of Wales. Upon Edward VIII’s abdication in 1936, Elizabeth became heiress apparent, and in 1952 found herself ruling an entire realm after her beloved father, King George VI died. Her Majesty is constant, never misses a beat, and is a champion of progress. She’s a steadfast ruler, rarely offering an opinion because she knows that the press will gobble it up. Oh, and the woman loves animals, perhaps more than people. 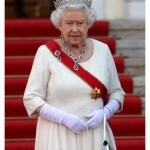 The Queen is most famous for her corgis, a gaggle of stocky ankle-biters whose rather nasty reputations precede them. “They’re yappy, snappy and we bloody well hate them — because for some reason the Queen will not allow them to be fully house-trained,” a footman once said. Her Majesty doesn’t save all her affection for just her beloved corgis. Heavens, no! 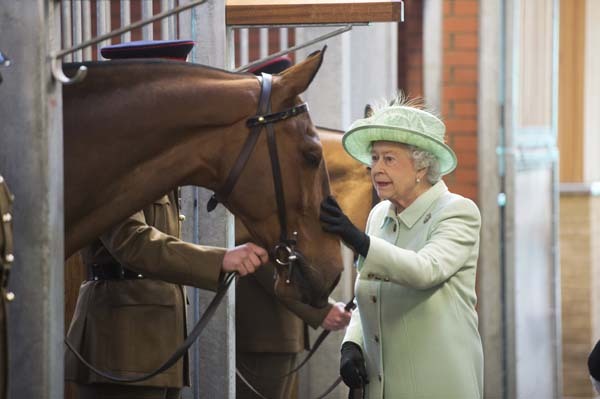 There are other breeds to be cuddled, as well as horses to be fed and odd animals of the Commonwealth to be presented. “Bloody dogs! Why do you have so many?” Prince Philip reportedly once yelled. Where it all began: King George VI brought home Dookie the corgi in 1933.